Rather than respond through a comment to Pi Day, it seems appropriate to bring this one front and center. If you recall, on March 14 I posted pictures of our Pi Pies. For kicks, I had some students position a white board from their physics class behind the groaning board, call it a little atmosphere. As an endnote I put out a challenge to my dear sister’s son to interpret what was on the board. Successful explanation would result in the Pi Pie of his choice the next time we get together. He gave a stab at it. Course, that left me with a little problem. I’m not a physics guy. What do I know? Oh, I know a bunch of people who are. Last Monday after a meeting with one of my graduate assistants I told him about the challenge. To be fair, this is a really nice guy so I chalk up the smarmy to cultural difference. I know he doesn’t mean to be smug and superior. “Humor me,” I told him, then printed the picture and explanation. I didn’t hear back from him all week. Yesterday I ran into the professor teaching the class. Might as well go to the source. Just so you know, this is my favorite person on faculty. He is incredibly smart, his work is elegant and useful and he is approachable and open. 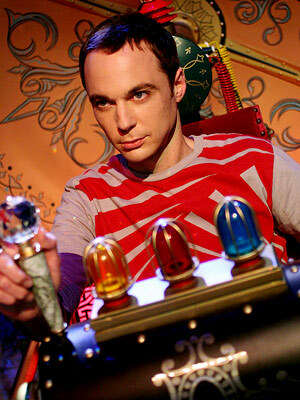 Think of him as an anti-Sheldon. “Of course,” he says with this great Moscow inflected English. “You know I have this wonderful brilliant genius nephew, right?” I told him. “Yes, of course. The computer guy,” he answered. I explained the challenge to him and my inability to verify his answer. Professor Anti-Sheldon was kind enough not to smirk. On the outside. I showed the professor the picture then scrolled down to the explanation. Professor Anti-Sheldon glanced at the explanation, scrolled through it, gave it at least two seconds attention. “Was he close?” I asked. “Cool. So what’s the problem?” I asked.